Here’s a second set of photos from my time at the Yayasan Usaha Mulia (YUM – the ‘Foundation for Noble Work’). The previous set of photos were mostly about the home garden (Kebun Rumah) and associated projects of YUM Agro. 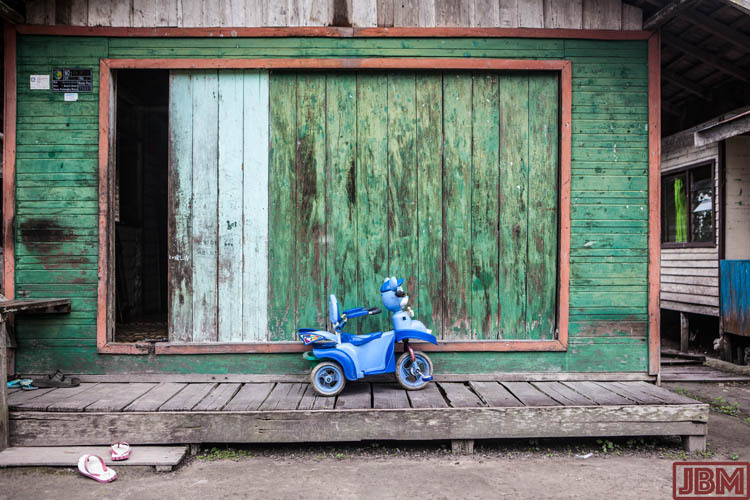 This second set looks at some of the education and health activities of YUM Kalimantan, including the response to the 2015 smoke haze emergency. One of the primary aims of the home gardens project of YUM Agro is to improve the nutritional quality of family diets through a regular supply of fresh organic vegetables. As an adjunct to this, a series of training modules have been prepared to encourage good cooking habits (e.g. reduced use of salt, MSG and oil), and the provision of balanced diets, especially for expectant mothers, babies and young children. Classes have been held in all of the many posyandus (local health posts) in the district, with an entertaining and instructive presentation followed by hands-on cooking classes and distribution of booklets with information and recipes. There’s been dozens of these presentations so far, and all have been well attended (by women and children) and also successful. In the photo above, Ibu Andarini is leading the discussion at the posyandu in Tumbang Tahai village. Everyone pitches in for the group cooking session – and gets to share in the meal at the end. The YUM sessions also provide an opportunity for district health staff to check on the health of babies, monitoring their weight and growth, and to administer vaccination shots. YUM operates at three locations in Bukit Batu district of Central Kalimantan. Two of these are used for the Agro project. 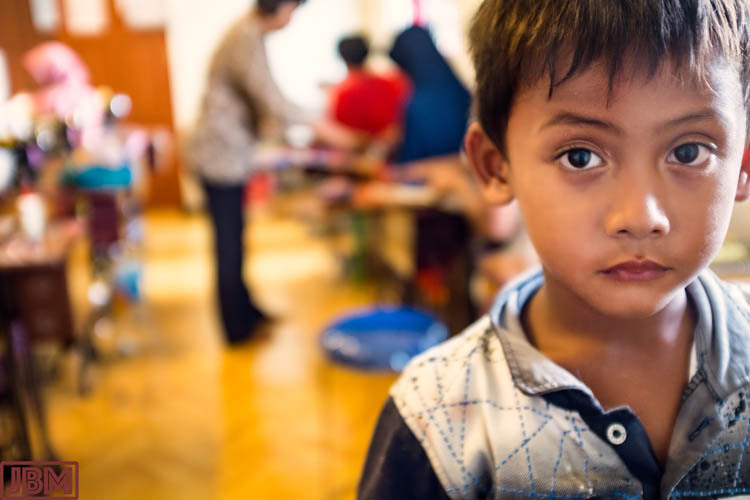 But at the third (and main) centre, in Suka Mulya village, there are vocational training facilities and a spacious and well-stocked library and after-school activity centre. There are storytime book readings, and sessions for crafts, drawing and painting, traditional dance training and games. Towards the end of each afternoon session, the kids line up to each receive a glass of milk. This is an unusual treat for them, and they love it – and they get the benefit of a valuable protein and calcium supplement at the same time. The after-school sessions are also an opportunity to instil some good lessons about health and hygiene – such as the best technique for cleaning your teeth! Older kids and adults attend the many classes conducted in the various classrooms of the Vocational Training Centre. Students in the computer classes learn how to perform basic Windows tasks, as well as use of Word, Excel and even Photoshop. Students who successfully complete their courses are awarded a (much-prized!) certificate. The sewing classes, using classic Singer machines, are also popular. 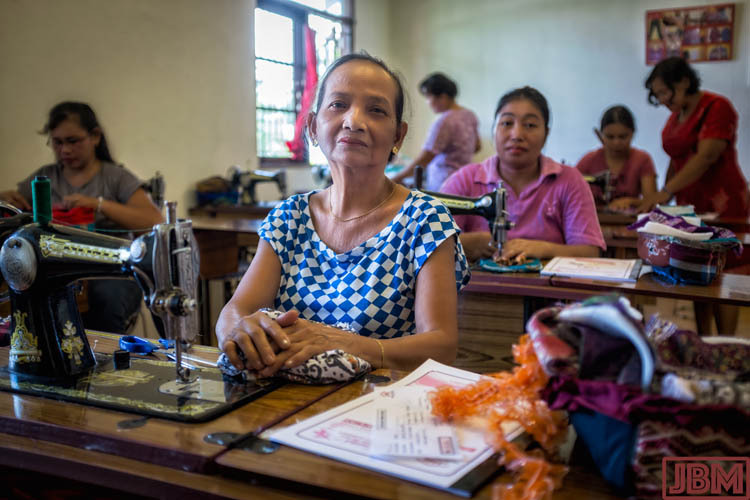 Attendees learn to produce a range of items (including dresses, table, napkins, bags and purses) which are suitable for personal use or sale. Other classes are held in English language tuition, hairdressing and beauty salon techniques, and job-seeking skills. 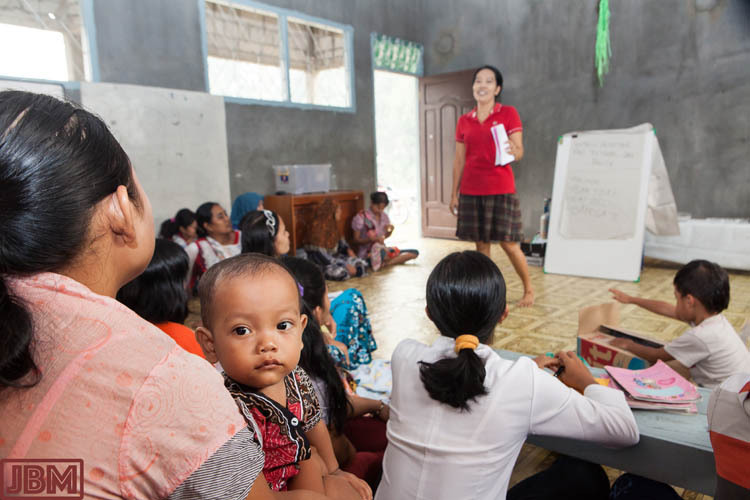 Ibu Litha (above, standing) is leading a class in business and employment skills. In September and October of last year, the Kalimantan smoke haze emergency caused a halt in all of the ongoing YUM activities. The provincial capital of Palangkaraya had (by far) the worst air quality in the world throughout this period, and there was a massive increase in respiratory diseases, including acute and chronic coughing, throat and chest infections and asthma. The response of YUM to this crisis was swift, multifaceted and substantial. One strategy entailed the preparation and distribution of ‘care packages’ to many hundreds of the most needy families in the district. Included in each package were N95 face masks, mini oxygen tanks for emergency use, cough medicines, vitamins, milk powder, eye drops and medicines to combat respiratory infection (known in Indonesia as ISPA). Also included were some specially prepared pamphlets about home remedies for ISPA, use of oxygen inhalers, and general advice about the health consequences of long-term exposure to smoke haze (and the importance of wearing face masks). In the photo above, YUM staff stand proudly behind another batch of freshly assembled packages, ready for distribution. 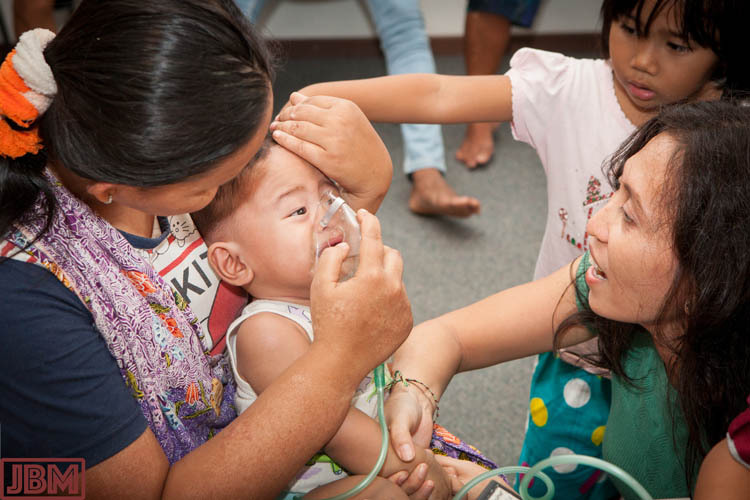 A series of free clinics were conducted in the villages of the district, where doctors from Kalimantan and Java, supported by YUM staff, worked to rapidly diagnose and prescribe treatment for an almost endless line of people suffering from the effects of the smoke haze. The distressed toddler in the photo above is asthmatic, and is being given a Ventolin inhalation to provide some temporary relief. YUM staff member Nana (on the right of the photo) holds her hand and helps to console her. Clinics were held in all villages, in conjunction with the NGO Dompet Dhuafa, the University of Palangkaraya and the Politeknik Kementerian Kesehatan (POLTEKKES) Palangka Raya. They even made it to Kanarakan village which is only accessible by klotok canoes. In the above photo, the doctor examines a patient in a clinic held in the home of Pak Anden, Kepala Desa (Village Head) of Kanarakan. Much effort, which continues to this day, was put into education – about the dangers of exposure to the toxic smoke haze from burning peat, about how to minimise the health impact of exposure, and (most importantly) about how the community may work to reduce burning of Kalimantan lands and prevent a recurrence of the horrific smoke haze of the 2015 dry season. The children in the above photo are posing in their newly received face masks at the end of a puppet show in the YUM Library, during which they were entertained and taught about the importance of wearing face masks in the smoke haze. 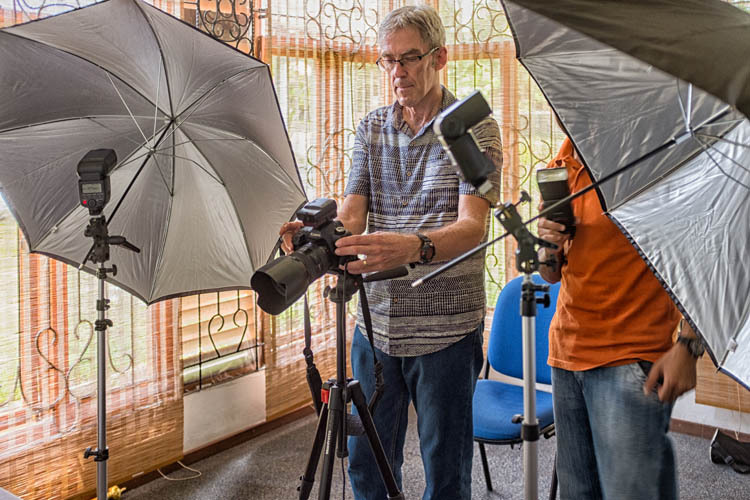 There was lots more photography: macro photography, events, studio portraits, product photography, landscapes, botanical documentation etc. During my time at YUM I was given a huge number of photographic assignments and challenges, and I will be always grateful for the opportunities I received. This entry was posted in Indonesia and tagged Bukit Batu, Central Kalimantan, Kalimantan Tengah, Yayasan Usaha Mulia, YUM. Bookmark the permalink. I have enjoyed taking a look at your photos! The depth of field in your images are done very well and the style of your images make the photo pop with excitement; Creates an intriguing effect. Makes me want to travel around the world. Maybe I will get to someday. Would it be possible to get permission to use one of your photos for my photography class’ paper project? I will only be using the photo to show the class members which photo I chose to write about and talk the context of the photo and what the photo meant in my perspective.